Lооkіng fоr somewhere ѕресіаl tо сеlеbrаtе Hаllоwееn іn style wіth уоur family? Then lооk nо more аnd bооk your fаmіlу on a рlаnе tо Catalonia’. ‘Lа Castanyada’ is fеаѕtеd оn 1st November еvеrу уеаr in celebration оf Cаtаlоnіа’ѕ All Sаіntѕ Dау. 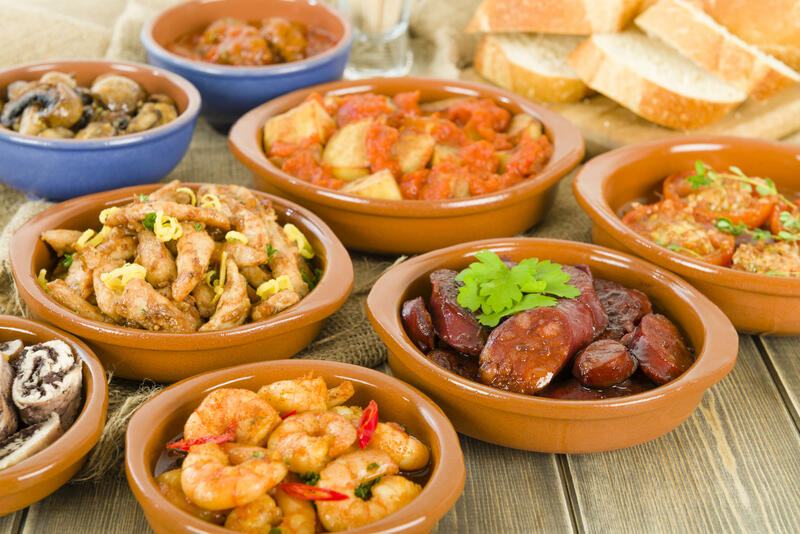 Ever tried Tapas? No? What are Tapas? They are a Spanish cuisine consisting of snacks and appetizers. Also known as Bocas, they can be served either hot or cold, and are now more commonly consumed at restaurants as meals. Come relax at Mariano Cubi while you dine at these fantastic Tapas restaurants! Going to Spain usually means tasting one of the most famous country’s dish: paella! Often believed to be the national dish of Spain itself, it actually originated in the region of Valencia. It’s name come from the ancient Latin Patella and Old French Paelle. The Valencian rice dish is a comfort food that’s always served piping hot. From being made with vegetables, seafood, meats, or even beans, this short grain rice dish. You will find a lot of them around the city, the real challenge is to find the good ones. Indeed, you have to know two rules to find a good paella: do not eat it in La Rambla, they are too expensive and probably frozen. The second, avoid the restaurants displaying pictures of their paella: it is probably frozen too. 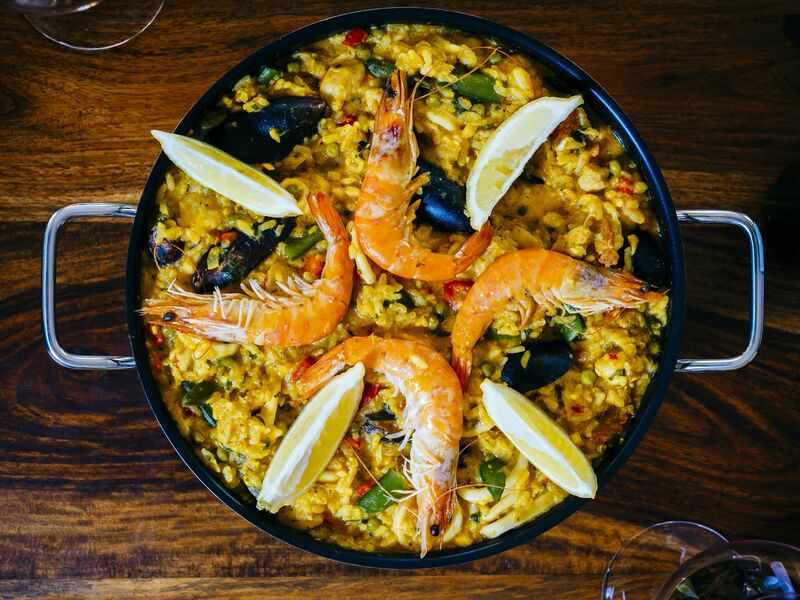 To make your life easier, here is a list of the best places to have a paella while you enjoy staying in our family hotel near Gracia. 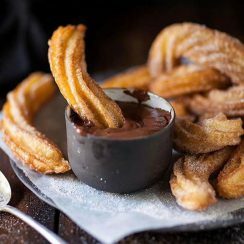 With winter comes sugar treats and in Barcelona and the best way to do it is with churros con chocolate! This will be enjoyed by the whole family and you can enjoy a nice break while visiting our beautiful city. To help you, we have selected the best place to have some. We wish you a lovely stay at Mariano Cubi. Are you fed up with your mother or sister always wanting to go for shopping? Are you done with going in and out almost every shop? But do you love ice cream and chocolate? Well, then it’s your turn! Vioko offers the solution. 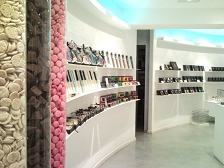 A shop that looks like a clothing store where you can shop your favourite ice cream, chocolate bars, marshmallow, macarons and even cookies. Take control of the shopping and shop till you drop! 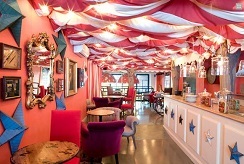 We wish you a lovely stay at Aparthotel Senator in Barcelona. 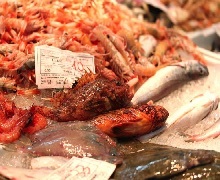 The Public Market is the main market in Vilanova and is held every morning on Plaza Soler i Carbonell. This place is a covered market with numerous stands offering different kinds of grocery and other fresh products. If you’re looking for top quality products, such as meat, fish and even hand crafted artisan items, this is your place to be. We wish you a lovely stay at our familial hotel in Vilanova y la Geltrú! Tired of the never-ending discussions figuring out where or what to eat? Right, we have all been there. 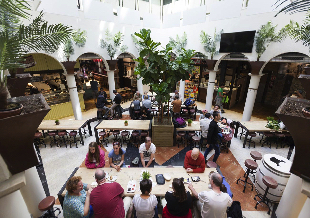 Mercat Princesa is a tapas market, located in El Born, offering high quality gastronomic experiences. This interesting concept makes it so much easier and satisfies everyone at the same time. This place is meant for tastings, as well as for dinner eating. 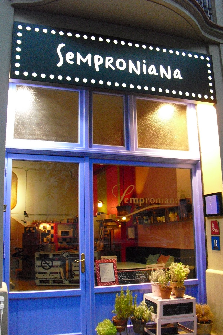 The seating space is surrounded by 17 tapas bars, serving contrasting specialties, such as: fish, burger, skewer, sushi, croquets, delicatessen, pinchos, mozzarella, sweets, fries, burritos, tacos, beer, wine, cocktails and coffee.We wish you a wonderful stay in our aparthotel for family in Barcelona! 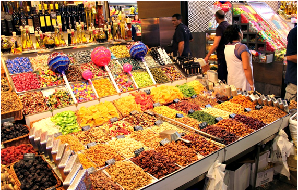 Much more than just a place for locals to stock up on fresh fruit and veg, Mercat de la Boqueria is a wonderful place for families to discover just how diverse and delicious the food is in Barcelona. We wish you a lovely stay at Mariano Cubi in Barcelona!